A friend of mine commented that she thought Hunger Games was actually more of a middle grade novel because so much of the violence was off-screen. She made that comment a few hours before I read it, but I had to agree. This one is very much YA. Jennie-Agree totally!! 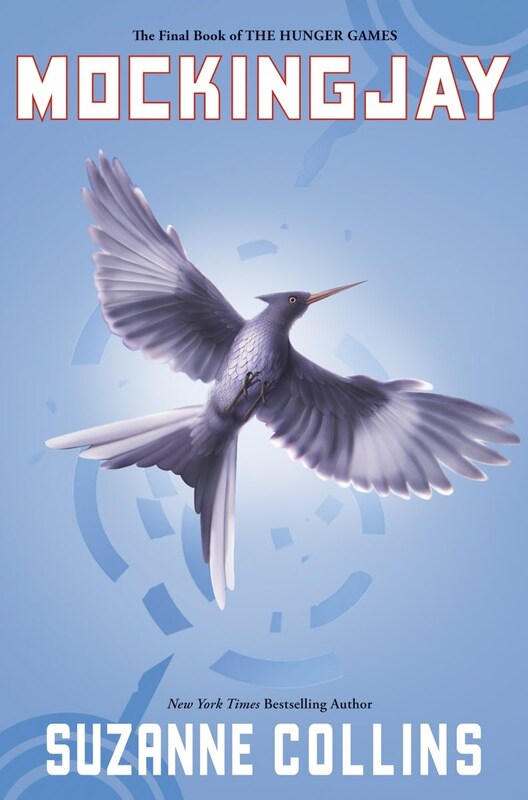 I booktalked Hunger Games to fifth and sixth grade classes but Mockingjay is YA. I think readers who were mature enough to handle HP7 can possibly handle Mockingjay as well, but it is older than the previous two in terms of theme and violence. I really really loved the finish to this series, and I see where you're coming from in your highlighted comments, but I suppose the Gale vs Peeta decision (if there ever really was one) would have been always in question if there had been an alternate ending with them. Nice review - thanks. You must have been really excited to have whizzed through it like that! You seem to be one of the few people whose review I've read that felt the ending was too perfect - most seem to have found it upsetting and unhappy. I agree though, some of the big characters should have gone. For me, I'd have liked to see some bigger deaths in the first two books to set up the fragility of life and the peril that the characters were living in. Hey-ho, maybe I'm just a bloodthirsty wotsit.